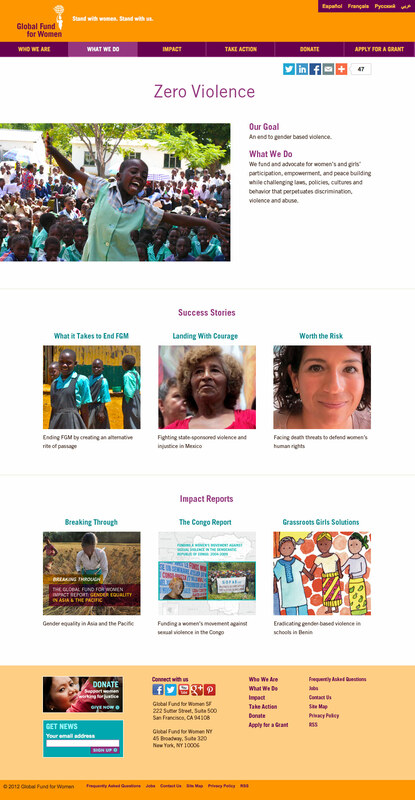 I have designed and maintained globalfundforwomen.org since 2009, and it has been evolving continuously since then. In 2012, I made it responsive, and mobile traffic has increased 380% since that time. I recently made several adjustments to the design to announce the launch of our new programmatic framework. Each of our focus areas has a landing page full of inviting visual examples.